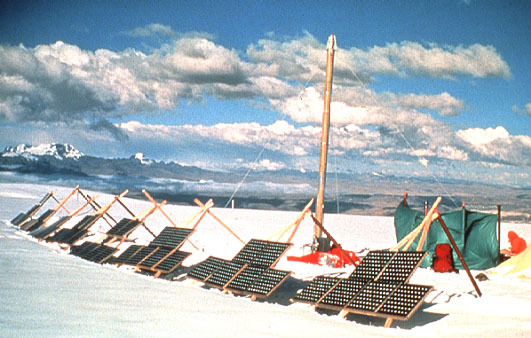 Solar-panel array and ice drill set up on Quelccaya ice cap. 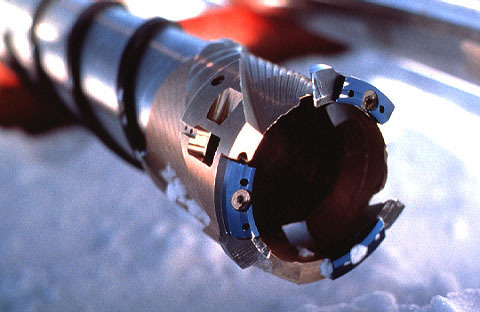 Drill bit and tube used for recovering ice core on Quelccaya ice cap. Removing ice core from drill tube. 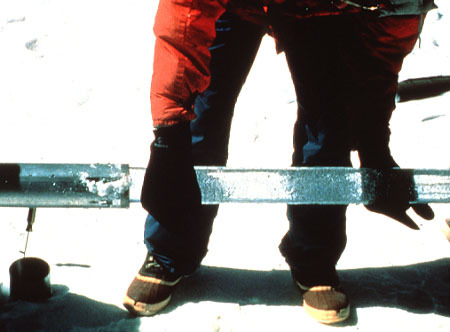 Gas bubbles in ice are samples of atmospheric gas that was trapped during accumulation of snow on the Quelccaya ice cap. All photos from World Data Center for Paleoclimatology (educational slide set).